FOR HONOR Starter Edition FREE to keep forever on STEAM but until August 27th. Claim it today. The Starter Edition includes the full and complete version of the game. That means you get both the single-player and multiplayer modes, as well as all the maps. Campaign a full fledge story mode of 18 missions. Takes about 5-6 hours to finish. ?? the link or activation link on Steam? It worked for me. Says the link is bad. Hopefully tomorrow? The best thing to do is to open your Steam client (not the browser) and just search "FOR HONOR" and select the Free edition one from the drop down pane. Got it now, cheers bro, keep up the good work. You might need to subscribe to their newsletter to get the key? not sure. ...and Yes, you can still add this to your Origin account without owning the base game. So i can legit play BF1 (i missed it due to crap rig)? You can but the PC playerbase is dying for BF1, It's not bad but not good when compared to BF1's PS4 playerbase. 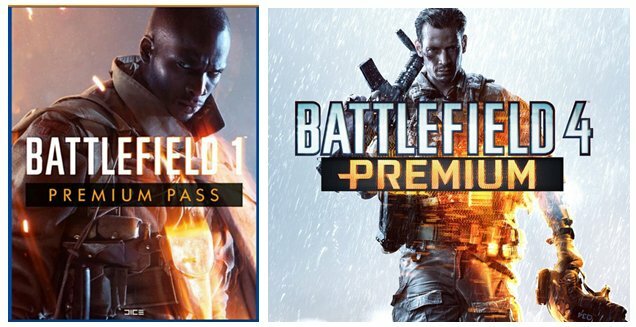 Maybe this Premium Pass will bring in more BF1 players to the PC? I already uninstalled it months ago. The game is pretty but way too casual for me. I went back to BF4/BC2 and some BF3. Does it have single player? Dammit, it says I need the base game. And at 4 quid I'm tempted. Well BF4 certainly is worth it. The same cost of a cheeseburger. c'mon now. ...No comment on BF1. I have uninstalled that thing months ago. BF1 was cheap, BF4 slight discount. BF1 is newer than BF4 right? Yeah I know, strange numbering by EA. 'BF: 1' is three years newer than '4'. Both are currently dirt cheap when adding the free free passes. Try them both. BUT YOU PROMISED ME I DIDN'T NEED THE BASE GAME!!!! Feel bad for the devs of this game. Recently they made a mistake bu banning all keys... one of the devs comments: "I love the irony that nobody plays the game, however the moment I made a mistake I reach an audience bigger than I have ever got." Accidentally banning all keys torpedoed his reviews but at the same time, most publicity he's ever had plus now because of it a temporarily FREE game. FREE for 24hrs - I highly recommend this game. Loved it. Metro 2033 is free but Metro 2033 Redux (the remaster) is on sale.